A Newport accident attorney understands the personal toll an accident injury takes on their clients. Your attorney also understands how insurance adjusters view injury claims in terms of dollars and cents. As your Newport accident lawyer will discuss, permanence is often the key word when it comes to adjuster evaluations of injuries. If a doctor has told you or will testify that the injury you sustained is permanent, this will increase the potential settlement value. Injuries that heal quickly and leave no lasting impact on your life are not valued highly in terms of an adjuster’s settlement potential. Another factor that will influence the value of settlement is whether your injury caused permanent disfigurement or scarring. As your Newport accident attorney will discuss, facial scarring, no matter how low your medical bills, will increase the potential value of your claim. Your attorney will also discuss ways to document scarring or injury permanence through photographs and evaluation by medical specialists such as a plastic surgeon. 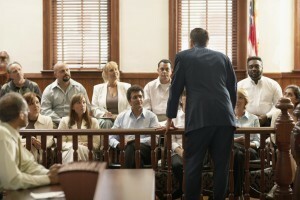 Although your attorney cannot guarantee settlement, he/she can discuss factors that impact case value. A Newport accident attorney at the law firm of Russell & Lazarus APC can help you understand how insurance companies value injury claims and negotiate on your behalf. Call 949-851-0222 to set up a consultation.